The talk about “mega servers” has been rumored and hinted at for awhile. Nothing more had been talked about it, until today. 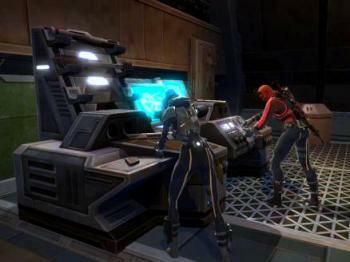 On the official SWTOR site, BioWare announces a new temporary Public Test Server to test new server. According to the news release, this is the first step in testing the high population server tech. This testing starts today, September 13th. Now there is a downside for some of you, it is only open to players on East Coast servers. Now there is no mention of this, but I would assume as they progress in this process BioWare will open it up to other areas for more testing. The update about the new server tech being tested is good news and means BioWare is still hard at work to improve the gaming experience for their players. You can read the complete details on the testing procedure, on how you can be a part of it. So be sure to read the entire news release and follow the instructions below to begin testing this new server tech today! Log in to the Star Wars™: The Old Republic™ launcher using your username and password. Click “Play” to launch the game. Click the Server Selection button in the bottom left corner of the character creation screen. Review your characters for any issues and click “Play”. In an article on the GameNGuide website by Juan Rodriguez, BioWare states they plan on releasing new content every six weeks. That sounds like music to my ears. The article reports that this info came from an interview with Matt Bromberg, GM at BioWare Austin. The idea makes complete sense, as he adds the reasoning behind this is to get the paid subscriber back. How do you get people to pay money for something…you offer them more. The “more” Matt Bromberg refers to in the article includes, new Operation, new Warzone, new Flashpoint or new event. Basically, something that is probably going to require a subscription or pay-to-pay option to do will be coming to the game every six weeks. Of course this means probably one of those things and not a new one of each every six weeks. That is fine by me, I would rather they focus on one thing and get it right, rather than try to give us multiple things that feel just thrown together and are full of bugs. This week’s Community Round-Up has a couple upcoming server events. Be sure to check them out and mark your calendars for these events. Check the dates over carefully, because one happens this Sunday, while the Datacron & World Boss Expedition appear to be a reoccurring event. [The Progenitor] General Cherrya’s Big Birthday Race Sign-ups: This Sunday, in honor of General Cherrya’s birthday, Chair of the Paragon Council of the Brotherhood of the Republic, The Brotherhood will organise a Big Racing event on the lovely planet of Tatooine. The prize money is donated by Caganion’s Pharmaceutics Inc, for all your stimmulating needs. Be sure to check out the links to these two events so you do not miss a minute of the action. What sort of events would you like to see your server or BioWare support in-game? Let us know your ideas in the comment section below. 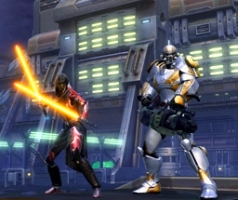 This week the SWTOR Subreddit section of the Community Round-Up, has a couple links. The first link talks about the new “facial moods” that will be in Patch 1.4 and on PTS now. The second link in the Subreddit section, talks about a huge RP Imperial Duel Tournament. Now when I say huge, I am referring to the prize pool. 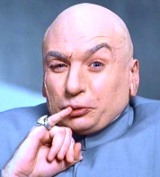 The winner will receive…1 million credits (in my best Dr, Evil voice). So if you are on the Ebon Hawk server, be sure to check out the details on the link and also work on your dueling skills. The next section in the Community Round-Up is a highlight on a couple of fansites. The first is a thread about The Mad Sith Assassin aka MSA. MSA highlighted blog talks to us about what we know so far about the new operation: Terror From Beyond. He also highlights what is new in the Public Test Server. This blog is one you should definitely put in your bookmarks. The other highlighted fansite, is your very own Corellian Run Radio. The highlight mentions this past week’s podcast, where Carla got a chance to interview Community Manager Joveth Gonzalez. If you haven’t listened to the interview take some time and give it a listen. We would also like to thank BioWare for highlighting us in this week’s Community Round-Up! This week was another busy week at Corellian Run Radio. It is always good when it is busy, because that means there is either new content or details about new content. Both are true this past week. BioWare announced the return of the Public Test Server, and that to me is new content, because it gives players the chance not only to see the new changes, but more importantly give their feedback to BioWare on changes needed or bugs they happen to find. We also got more definite news and details on the new Operation: Terror From Beyond. Okay, so it was a bit vague, but if they told us all the mechanics where would be the fun it that? Also this past week, Carla had the great opportunity to interview Joveth Gonzalez during the weekly podcast. 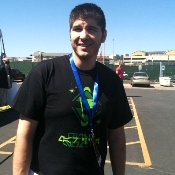 It is a really great interview and we learn how Joveth got into the gaming industry, his tips for those looking to get into the industry, even his favorite cartoon growing up…oh yeah, they also talked SWTOR. He had some great news about how they plan to give us more events more frequently. Below are the links to these stories and our normal weekly articles. Please be sure to take some time and leave our authors your comments on feedback. We all love to hear from you! I’m sure many of you have heard about all the excitement when Celebration VI was happening down in Orlando. 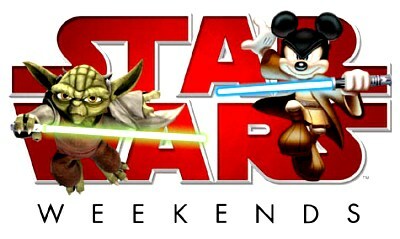 Besides that event, Star Wars also is highlighted on four weekends usually beginning in May called Star Wars Weekends. I had the opportunity to go to one of these weekend events at Disney’s Hollywood Studios in Orlando, FL and had a blast, although not everyone is able to make it to Florida. Some folks can make a trip to Disneyland, but they do not have these Star Wars weekends. However there is a brave group of “rebels” launching a campaign to bring Star Wars weekends to Disneyland. Richard Woloski, contacted Corellian Run Radio and told us of this noble cause. He has contacted Disneyland in Anaheim, CA and they told him to let those in charge of the Star Wars weekends know that there is interest in having these weekend events at Disneyland. Now how can you help this endeavor? All you need to do is go to their Facebook page and click “like,” this will give the group some actual numbers to demonstrate people are interested. Huge shout-out to Richard and all those involved with the grass-roots project. I urge you to go to their Facebook page and click “like”…there can never be too many Star Wars events to help share the “Force” with the younger generations and let us older fans enjoy that Galaxy Far, Far Away in another venue. September 9th was Grandparents Day and what holiday would not be complete without Star Wars…the answer is no holiday is complete without Star Wars. That must have been the mindset for the Evansville Museum in Evansville, IN. The museum contacted the 501st and of course this charitable group is always ready to “suit up” and bring the Star Wars excitement to almost any event. 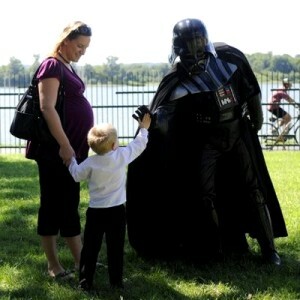 According to the article by Jesse Ringer in the Courier Press, there were booths for facepainting, balloon animals and of course plenty of characters to get pictures with like Princess Leia or the Dark Lord of the Sith himself, Darth Vader. Of course plenty of “security” was provided by several armored Stormtroopers. While the event is for the Grandparents and the kids of course, the real folks to be honored are the members of the 501st branch that took time to help make this happen. This is by far one of the greatest and most charitable organizations in the Star Wars community. To all you members of the 501st around the world, I salute you and May the Force be with each of you always!